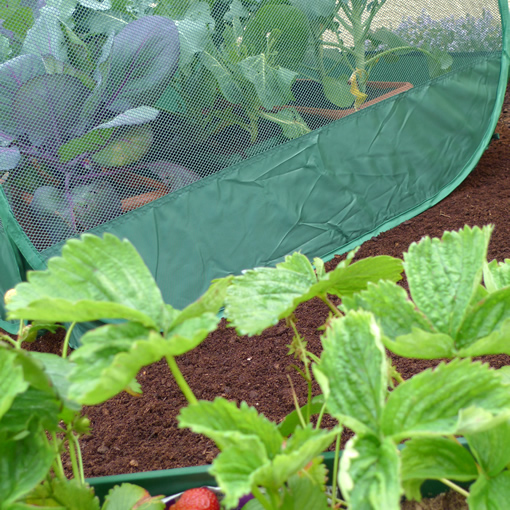 A mini pop-up strawberry cage that is also ideal for salad plants, early seedlings and newly planted vegetable crops. 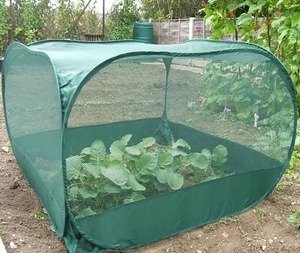 The mini fruit & veg cage is covered by a tough and strong 4mm polypropylene woven netting that will protect the strawberries and crops from birds, butterflies and other large garden pests. 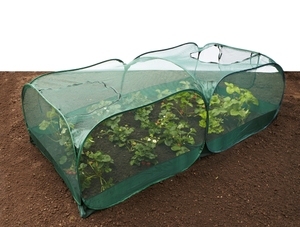 The strong but flexible sprung steel frame instantly pops-up to form the 50cm x 50cm x 50cm net protection frame for your plants. As quick as it pops-up, it can be packed away just as fast. 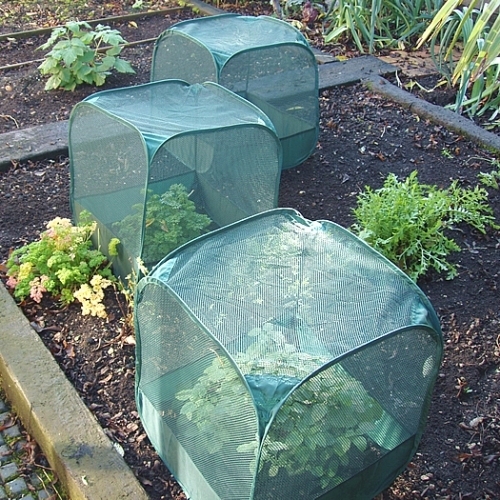 This netting cage will last year after year and is designed to be robust and last longer than alternative systems on the markets. 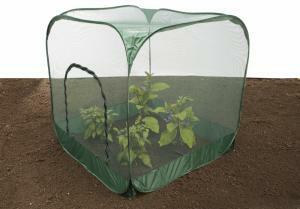 We stock much larger pop-up fruit and veg cages - for brassica vegetables and raspberry bushes. Browse for further details.